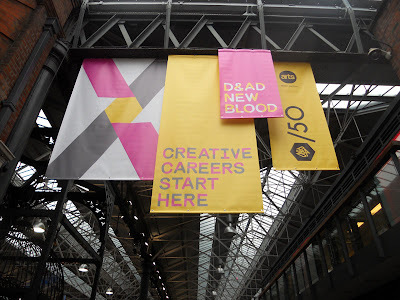 Earlier this week, Helena and I attended the D&AD Student Awards Ceremony at Old Spitalfields Market in London, along with HND graduate Steven Brown. Steven was nominated for a Yellow Pencil in the Installation Design category. 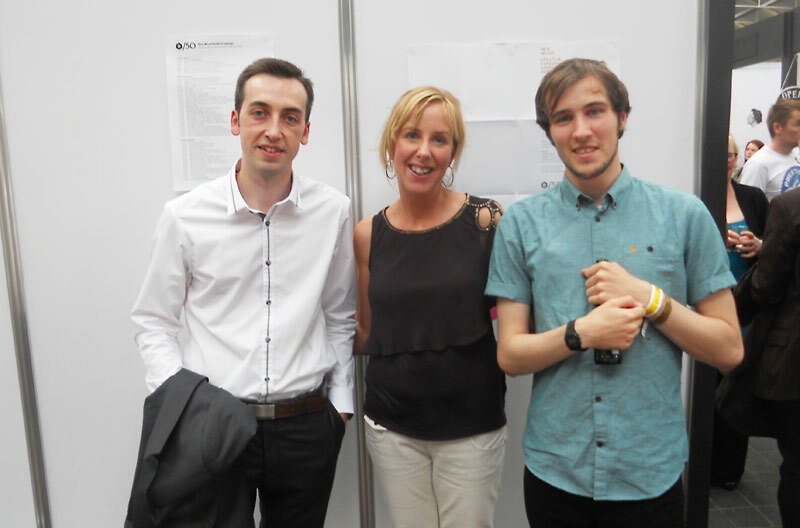 It was a great way for the Edinburgh's Telford Design Team to finish off another hugely successful year. 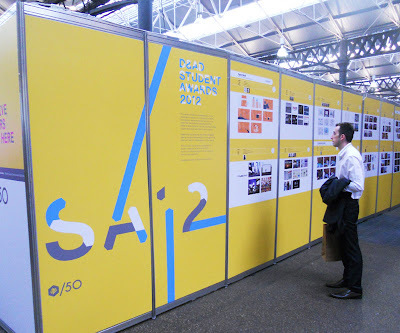 The event, which was hosted by D&AD President Rosie Arnold, saw students and tutors from as far afield as Sweden, Russia, USA, Singapore and South Africa attend. Unfortunately Steven wasn't selected for a Yellow Pencil, but he was still in good company - the 100 or so nominated students represented just 2% of all submissions. Alongside the awards we had the chance to attend the private view of D&AD's 2012 New Blood - the annual showcase of graduate work from Education Network members in the UK. New Blood events also took place concurrently in New York, Madrid, Singapore and Sao Paulo. Steven checks out some of the other nominated work. Steven and Helena catch up with former HND student and DJCAD graduate Kyle McPartlin, who was exhibiting at New Blood.